Asian markets fell on the last trading day of the week, as they watched the U.S.-China trade front. The Nikkei 225 fell. Trump said Japan could be next in the U.S. spotlight. South Korean Kospi also traded lower. The ASX 200 continued the downward trend, recovering slightly from its previous losses. China's stock indices were also negative after trading in positive territory earlier in the day. U.S. equities fell during Thursday's trading session. Markets are expecting an escalation in the current U.S.-China trade war, following reports that other Chinese goods could be subject to $200 billion in tariffs by the end of Friday's trading period. The U.S. dollar fell against the Japanese yen on Friday after a report indicated that Japan would be the next country with which the U.S. president would address trade issues. 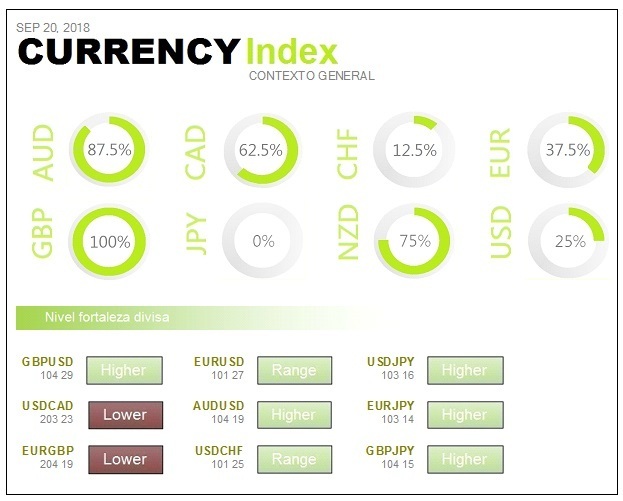 The U.S. dollar remained in relatively narrow ranges against most of its major currency pairs, such as the EUR and GBP, on speculation that the U.S. labour market will continue to strengthen. Oil prices remained stable during Friday's Asian session, as the market balanced a drop in U.S. crude oil inventories to the lowest levels since 2015. The trade tensions between China and the United States, and the economic weakness of emerging markets, continue to weigh heavily. During Friday's Asian trading, gold rose sharply, as the dollar fell against the Japanese yen after the U.S. president threatened to put Japan in the spotlight. Pending news of how negotiations with Canada are progressing on Thursday, September 6, and also of the launch of new tariffs against China at the end of the public consultation period. On the other hand, the fear of technological regulations in the United States puts downward pressure on the sector. As expected, everyone is waiting for headlines and that does not allow for long-term investment. On Friday there is the job creation figure for the month of August and, within two weeks, it will be the quarterly expiration of derivatives. It is anticipated that these sessions will be quite busy. Factory orders in Germany were much worse than expected on Thursday, September 6. The lack of external demand, which is directly attributed to uncertainty over tariffs on European products, is confirmed. However, domestic demand is sustaining economic activity, something also underlined by comments from the IFO Institute. In the debt market, Italy continues to attract money, leading to a reduction in the risk premium. It seems that the climate of confrontation with Europe has been reduced and that the budgets of the European Union have been reduced. Technology has once again played a major role in market problems. More noticeable in the second half of Thursday's session, with Wall Street open. The problems come from the biggest ones: Google, NVIDIA, and so on. The euro is in trouble, but not too bad. The Dollar Index is also falling, so raw materials are being supported. Such support does not extend to the supersector of basic resources. The August figure, compiled by ADP, has offered a figure of 163,000 new jobs. It's down from more than 200,000 the previous month and is also below expectations. The point is that there is still job creation. Other data do not make the market nervous either, because corporate layoffs are still at very low levels and weekly unemployment claims have fallen again. Without transportation they improve, but only half of what the market had in mind. In addition, the index of purchasing managers in the service sector falls more than expected and the composite exactly the same. To top it off, the ISM of nonmanufactures is contagious from the reading of manufacturing that was recently known. The weekly reserves of crude oil have had a decline much greater than expected, so this aspect continues to be favourable for increases in the price of crude, awaiting the implementation of sanctions on Iran that will withdraw from the market 2.8 million barrels a day. Asian markets were mixed on Monday, September 10, with U.S.-China trade tensions in the spotlight. Both Nikkei 225 and Kospi expanded their gains. The ASX 200 recovered from its previous losses to finally trade higher, despite the fact that the heavily weighted financial sector remained slightly lower. China's markets remained in negative territory, despite a slight recovery from their lows at the start of the session. Wall Street ended in negative territory on Friday. The Nasdaq closed down for the fourth consecutive day and recorded its worst start in September since 2008. Movements in the United States came after the U.S. president said on Friday that the country was prepared to impose tariffs on another $267 billion in Chinese products. The escalation of U.S.-China trade aggression suggests that tariffs will result in disproportionate cost increases for U.S. businesses and consumers. 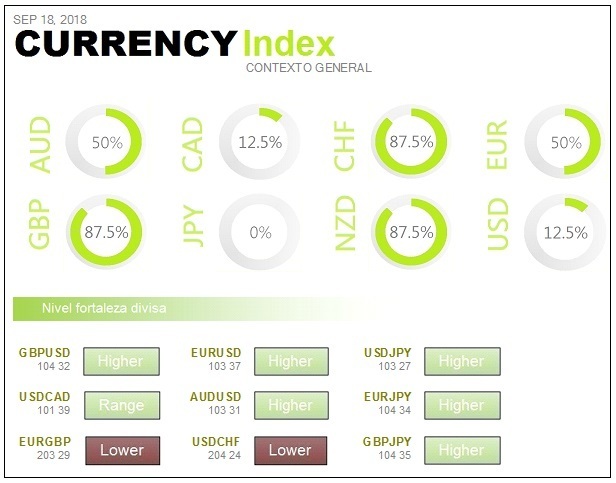 During Monday's Asian trading session, the dollar gained against most currencies thanks to good August labour data and fears of a possible escalation in the trade dispute between China and the United States. Oil prices rose on Monday when U.S. drilling of new fields came to a halt. They also affect the U.S. sanctions on Iran, which will begin to apply from November. During Monday's Asian trading, gold lost ground, while the dollar strengthened and a rise in U.S. Federal Reserve interest rates is expected during the month of September. Average hourly earnings increased 2.9 percent during the month of August, while non-agricultural payrolls grew by 201,000 new jobs. Unemployment declined by 3.9 percent. Wage growth was the highest since April 2009. Analysts expected incomes to increase by 2.7 percent, payrolls to increase by 191,000, and unemployment to fall by one-tenth of a point to 3.8 percent. The average hourly earnings and unemployment rate may provide clues to the Federal Reserve's next steps in monetary policy. There are tensions again over the trade war. If it was thought that the trade tension was at its highest peak, because of the negotiations with Canada and the possible introduction of tariffs on China, there is now news that Trump would be prepared to attack Japan. 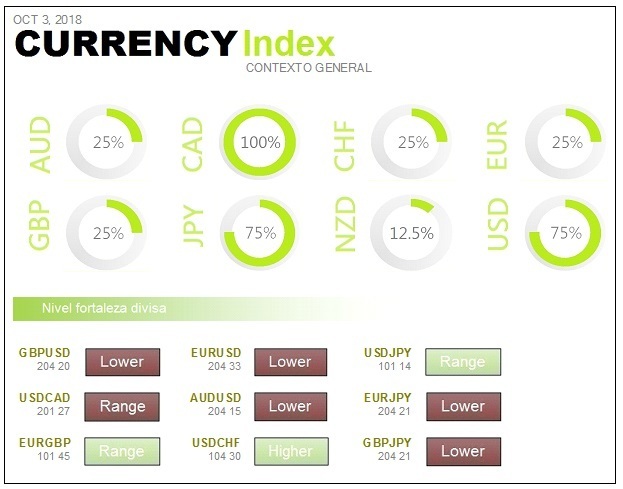 In the foreign exchange market there is a step back in the dollar, which helps commodities. The fear of increased tension in the trade war is not allowing it to translate into gains in concrete securities. It was a negative session in Europe on Friday 7 September and virtually everywhere. There are many purchases in Italian debt. Profitability continues to decline in the secondary market, seeking to close spreads with other debts. Yields are very high, due to the instability generated by the new Italian government and the direct confrontation with Europe. If we look at the market inside, we have that the majority of supersectors are in negative and the banks are the worst. With regard to macroeconomics, industrial production in Germany is much worse than expected and is blamed on the trade war. In France it rises more than expected, in Spain it repeats figures but they are not what were expected. The economy of the euro area and the European Union grew again at the same rate as at the start of the year. These growth figures certify the slowdown of the European economy, as they remain below the rates recorded in 2017. Compared to the same quarter in 2017, the GDP of the euro area and the EU grew by 2.1% in the second quarter. In the first quarter it had risen by 2.4% and 2.3% respectively. Again focusing on the second quarter of the year, the countries that grew the most were Malta, Estonia and Romania. 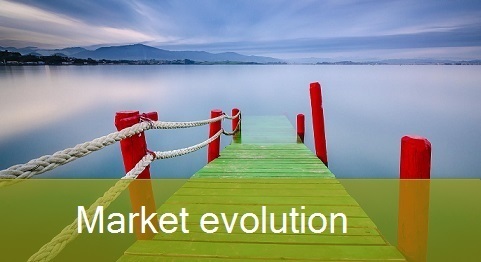 The lowest rates were recorded in Denmark, Greece, France and Italy. The rise in yields came from the clash sought between the radicals of the new government and Brussels. After the first problems that indicated the increase in the cost of financing, and the problems that it would bring to the economy, some people are negotiating more calmly the next budget of Italy. The latest news that Europe's spending rules will be respected is attracting debt purchases. Now, the Italian Treasury says it could offer a debt buyback to help stabilize the market, which attracts more purchases and gives more stability. The deadline for consultations on tariffs on $200 billion in Chinese products expired on Thursday. Trump now has his hands free to actually impose them at any time. This gives a lot of respect to the market, as the Chinese will soon respond. Another negative aspect of the trade war is the rumour that Trump would have said that he is preparing a trade offensive against Japan from one moment to the next. Germany does not have clear the European Commission's proposal, defended by countries such as France and Spain, to tax certain transactions of the giants of the digital economy. This is not a rejection of the measure, but there is a suspicion of the impact it may have and an interest in properly calibrating any possible tax. It has shown its confidence in being able to reach an agreement on the matter. On Tuesday, September 11, Asian markets were on positive territory after the S&P 500 and the Nasdaq Composite broke a four-day losing streak. The Nikkei 225 expanded its gains. The South Korean Kospi, however, lost its previous gains and traded slightly lower. The ASX 200 was the best index in the region. Both the S&P 500 and Nasdaq broke a four-day losing streak, closing the session higher. The White House also announced that it is coordinating a second meeting between U.S. President Donald Trump and North Korean leader Kim Jong Un. Trade disputes continue to be another focus of attention for the markets, with Canada and the United States yet to secure an agreement to replace the North American Free Trade Agreement. 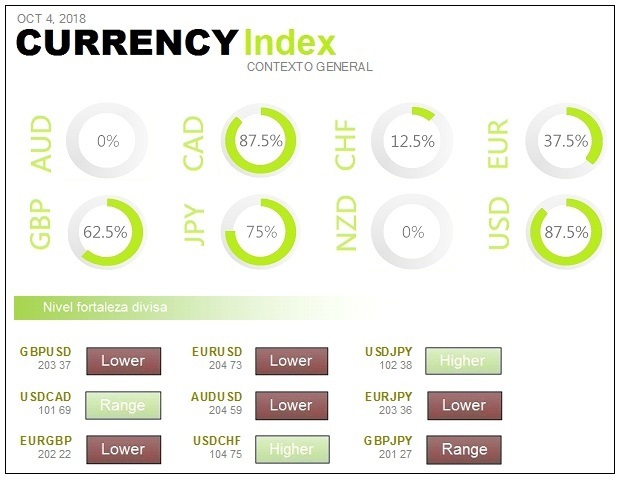 At Tuesday's Asian session, the euro and the pound sterling maintained their gains against the dollar, after the EU's chief negotiator announced his hope that an agreement would be reached for Britain to leave the European bloc in a friendly manner. The pound had been under pressure in recent weeks because of concerns that Britain would leave the European Union without a trade agreement. If the Brexit negotiations go well, the pound will naturally receive a strong boost. Oil remained stable on Tuesday, supported by imminent US sanctions against Iran's oil industry. But prices limited their rises by signals that increased supplies from other major producers, including the United States and Saudi Arabia, could compensate for Iran's disruptions. In Tuesday's Asian session the price of gold fell. The Federal Reserve's expectation of a rise in interest rates this September is weighing heavily. Moderate bounce on Wall Street despite Trump's warrant. Wall Street records profits on Monday September 10, while the market is still pending the trade war. Last Friday saw a new episode after Trump's threat to impose new tariffs on China worth $267 billion. Good job creation data that increases the firmness with which the Federal Reserve can raise interest rates. It also generates more confidence in domestic consumption. The possibility of finding work easily increases consumer confidence. However, the behavior of the technology sector is going to be the key. It is the great victim of the fear of greater regulation, which can limit the growth of large technology firms including social networks. The Old Continent trades in green on Monday 10 September. 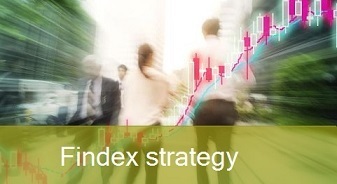 Five of its main indices are positive: Ibex 35, Cac 40, Dax, Ftse and Psi. The Spanish selective is encouraged, driven by Santander Bank, and managed to recover 9,200 points. In the foreign exchange market, the euro appreciated 0.19% against the dollar. Apart from tariff tensions with China, the United States is also currently negotiating its trade situation with other countries. The Trump Administration has not yet reached an agreement with Canada to sign a new agreement to replace the current North American Free Trade Agreement. It did so previously with Mexico. Added to that is the potential trade war with Japan after Trump last week dropped that it could be the next target for its tariffs. Tariff pressure could lead to an increase in global inflation and further retaliation by the Chinese government. China has invited the presidents of the main Wall Street financial institutions to a summit to be held next Sunday. The aim is to advise the Chinese government on how to improve its trade relations with the United States. On Thursday, the August CPI is released in the US, after the figures released last Friday in the Employment Report confirmed the rise in wages to 2.9% year-on-year. This is the biggest rise since 2008 and has led to a notable rebound in US bond yields. Boston Federal Reserve Chairman Eric Rosengren has commented that risks in the U.S. banking system are now concentrated in smaller banks. On Wednesday, September 12, Asian markets fell due to news that China will ask the World Trade Organization for sanctions against the United States. The Japanese Nikkei 225 widened its losses, while the South Korean Kospi lost its previous gains to end up down. In Australia, the ASX 200 recovered from some of its previous losses, but still remained in negative territory. The Shanghai composite was down, while the Shenzhen composite was also down. On Wall Street, the Dow Jones Industrials closed Tuesday's trading day with a rise of 114 points. It has been revealed that China will turn to the World Trade Organization next week to request sanctions against the United States. The meeting, scheduled for September 21, will be held amid escalating tensions between the two economic powers. The dollar fell in the previous session, while Canada said it was willing to make some concessions to the United States to resolve its negotiations on amending the North American Free Trade Agreement. Oil prices rose in the Asian session on Wednesday, after a report on falling crude oil inventories and imminent sanctions against Iran raised expectations of an increasingly restrictive market. Prices were also pushed up by Hurricane Florence, which is expected to hit the east coast of the United States on Friday. It has already caused fuel shortages after the evacuation of millions of homes and businesses. During Wednesday's Asian trading session, gold lost ground. The technical resistance and weakness of the yuan influenced the price. The upturn in technological action offset persistent concerns about trade disputes. China will seek authorization from the World Trade Organization to impose sanctions on the United States as trade tensions between the world's two largest economies increase. The Dow Jones of Industrials rose 150 points, as Apple and Microsoft exceeded their expectations. The Dow was also boosted by Nike shares. The S&P 500 gained as technology and energy stocks rose. The Nasdaq advanced as the shares of some of the largest technology companies rose. However, social media companies, such as Facebook and Twitter, face potentially dangerous regulatory pressures. Was a neutral session in Europe on Tuesday 11 September. It improved in the end thanks to a rebound in technology, and good recommendations on oil companies, that have managed to move the stock markets away from the minimum zone. From being close to Monday's highs, it has moved to around last Friday's lows. It shows that traders are on edge with every piece of news about international trade relations. China is demanding sanctions against the United States from the World Trade Organization. Already in Nixon's time the same thing happened and in the end they sanctioned this country. China says it will consult with the WTO on sanctions for non-compliance with the United States that China began in 2013. The same goes for non-compliance in 2017. The market understands that, apart from these lawsuits, China seems willing to complain to the WTO about Trump's current policy. Given the current sensitivity, the issue has been magnified affecting world stock exchanges. It is not a complaint about current tariffs, but about dumping practices of several years ago. The European Union's chief negotiator for Brexit, Michel Barnier, believes it is possible to reach an agreement with London before the beginning of November. That is the deadline that Brussels has set itself so that it can give itself time to complete all the necessary parliamentary formalities. Given the time required for the ratification process, the House of Commons on the one hand, the European Parliament and the Council on the other, an agreement needs to be reached before the beginning of November. Employment in the euro area grew in the second quarter. It is the same rate as in the first quarter, which translates into 158 million people working in the region. It is a record level. In year-on-year terms, this growth represents a rise of 1.5% in the common currency area and 1.4% throughout the Union. It is its lowest level since 1975, with 1.36 million people out of work, 95,000 less than the previous year. The economic inactivity rate was 21.2%, unchanged compared to 2017. However, the number of people between the ages of 16 and 64 neither working nor seeking employment increased in July to 8.76 million, 16,000 more than the previous year. The average income of workers has risen in year-on-year terms to 21.2%. This marks five consecutive months of growth in which wages have grown faster than inflation. Asian markets were very positive on Thursday, September 13, as the U.S. attempts to restart trade negotiations with China. Japan's Nikkei 225 remained among the best of the day, while South Korea's Kospi rose slightly. Tokyo's movements came after Japan experienced an 11 percent increase in orders for basic machinery in July, recovering largely from a fall in the previous month. 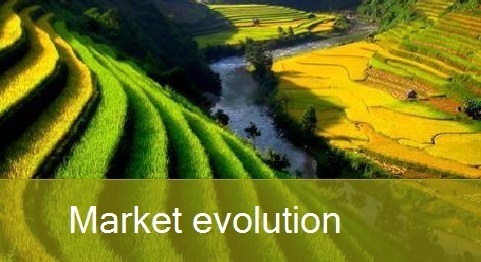 China's markets fell slightly, but remained at high levels. Hong Kong's Hang Seng index reversed some of its previous gains, but remained on the upside. The ASX 200 remained in negative territory, with the utilities sector on the decline. The moves in Australia came after August's employment numbers exceeded expectations. The US is proposing a new round of trade talks with China in the near future. Following this news, the Dow Jones Industrial Average and the S&P 500 recorded small gains, while the Nasdaq Composite closed lower after the drop in technology stocks. The dollar came under pressure Thursday, as the Chinese yuan rose sharply following the announcement that Washington is seeking a new round of trade negotiations with Beijing. This reduced demand for safe-haven currencies. The euro and British pound held firm, ahead of the European Central Bank and Bank of England monetary policy decisions scheduled for Thursday. Oil prices fell during Thursday's Asian session, reversing some of the strong gains from the previous session. Economic concerns raised doubts about the growth of fuel demand. Gold fell in the Asian session on Thursday, but remained stuck in a narrow range as investors continue to worry about the US-China trade war. Dow Jones Industrial Average and S&P 500 record small gains on Wednesday, September 12. They are doing so amid the possibility of a resumption of U.S.-China trade talks. The 30-share Dow rose 27.86 points. Boeing and Caterpillar contributed the most to the gains. The Dow's earnings were limited by heavy losses on 3M shares. The S&P 500 gained only 0.04 percent, led by telecommunications and consumer commodities. Was a positive European session on Wednesday, September 12, following news of another round of talks between the United States and China. The session has been totally dependent on the behaviour of technology in the United States. It is expected that the presentation of new Apple products will have repercussions in the technology sector and in the rest of the market. In addition, on Thursday there will be a decision on interest rates of the European Central Bank. On Wednesday, news came out that make the Ibex 35 the protagonist as it was one of the few index futures that ended up in negative territory. Eurozone industrial production fell by 0.8% in July. Across the European Union it fell by 0.7% compared to the previous month. In year-on-year terms the fall recorded in July, in comparison with the same period last year, represents a slight decrease of 0.1% in the euro area, which contrasts with a strong rise of 0.8% throughout the European Union. This July decline in the eurozone is due to a 1.9% drop in the production of consumer durables, 1.3% in non-durable goods and 0.8% in intermediate products. It was barely supported by an increase of 0.8% in capital goods and 0.7% in energy products. For all member states, the decline is explained by a fall of 1.3% in the production of non-durable consumer goods, 1% in durable goods and 0.6% in intermediate products. Energy products grew by 0.7% and capital goods by 0.6%. The President of the European Commission, Jean Claude Juncker, has advocated expanding the use of the euro as an international reference currency, a role that now corresponds to the US dollar. ‘The euro must be the instrument of a new and stronger European sovereignty'. One of Juncker's concerns is the energy market and aeronautics. Eighty percent of the EU's energy imports are denominated in dollars, despite the fact that only 2% comes from the United States. The Luxembourger has also mentioned Airbus, the European aircraft manufacturer, for the fact that its products are also denominated in dollars rather than euros. Juncker announced a package of initiatives, ahead of the European elections in May 2019, to strengthen the international role of the euro. The European Union is in the midst of a debate to strengthen the institutional architecture of the euro and correct some of its birth defects. Eurozone finance ministers are working on the creation of a common safety net for the Banking Union and on strengthening the powers of the European Stability Mechanism, to resemble a kind of IMF. In his speech he says that the European Union has become an inevitable force in world trade. The European Union can no longer take for granted international alliances that were formed in the past. The European Union must become even more of a global player and must be more independent in defence. It considers that the international role of the euro should be promoted and used as a reference currency. Recent events have shown the need to deepen the Union's monetary and capital markets union. It makes it clear that the first thing to do to promote the euro is to complete economic and monetary union. Asian markets remained mixed on Friday, September 14, the last trading day of the week, as trade tensions continue to persist. The Nikkei 225 lost some of its previous gains, but still rose as most major sectors did the same. Shipping was the best. South Korean Kospi also lost some of its gains, but still remained on positive ground. The ASX 200 rose and most of its major banks recorded profits. Movements in the region came after China reported that its fixed asset investment growth in the first eight months of 2018 had reached a new low. It does so even though industrial production and retail sales exceeded expectations. On Wall Street, the earnings of the Dow Jones Industrial Average, the S&P 500 and the Nasdaq Composite were weighed down by concerns about trade disputes. A tweet from the U.S. president showed that Washington is under no pressure to reach an agreement with China. The U.S. dollar fell during Friday's Asian trading session after U.S. inflation data was disappointing. 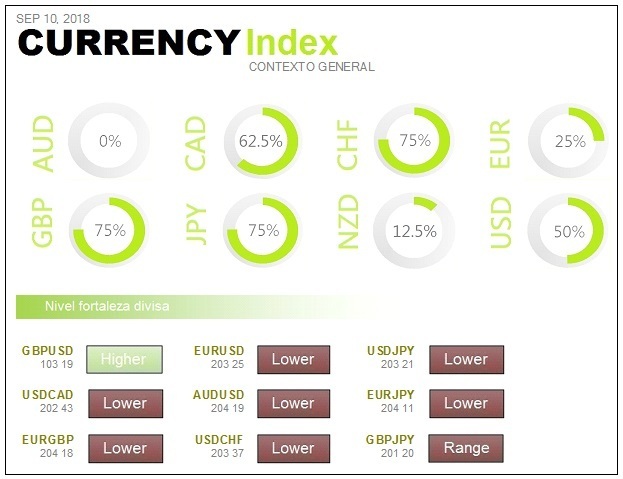 Emerging currencies, such as the South African rand and the Mexican peso, remained bullish following a sharp rise in interest rates by the Turkish Central Bank. The dollar came under additional pressure as the euro rose after European Central Bank President Mario Draghi suggested Thursday that low inflation was less worrisome. On Friday, oil recovered some of its losses from the previous session, as concerns about oil supply are offsetting the fact that emerging market shocks and trade disputes could erode demand. Gold rose during Friday's Asian trading session, as the dollar fell against most of the major currencies after U.S. inflation data was disappointing. The euro has been favoured by a clear weakness in the dollar. That weakness came when it became known that the August inflation figures were worse than expected in all of their items. Although the economic situation in the United States does not vary, because weekly unemployment claims rise very little or remain at very low levels. The final part of the session on Thursday 13 September has ended with slight losses. There is a new rapprochement between the United States and China. There will be new negotiations to try to reach a trade agreement. The point is that it appears that it was the United States that invited China and China accepted the invitation. Trump, however, has flatly rejected the theory that he wants to reach agreements not to stand for election in November with a country that is fighting with everyone and has no agreements. In any case, a certain optimism of substance in the negotiations has been noticed a lot in the Nasdaq and the FAANG+ have been supported by a powerful rebound of Alibaba. Moreover, what was presented yesterday by Apple is being taken positively. Was a positive session in the European market on Thursday 13 September, thanks to a good reaction to the interest rate decisions of the European Central Bank, Bank of England and Bank of Turkey. Turkey has raised interest rates sharply, in order to stabilise its currency, and that has pleased traders who have immediately put money into the banking sector. However, the Bank of England keeps interest rates unchanged, as expected, and the same has happened with the European Central Bank. 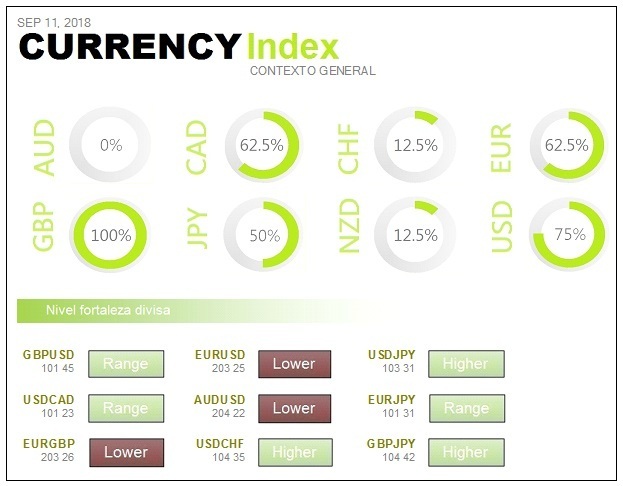 The euro has been reinforced by the European Central Bank's intentions to move forward and because next month the purchases of the quantitative programme will be halved. The European Central Bank has left rates unchanged and has reduced its growth forecasts for this year and next year out of fear of trade tensions. With regard to inflation, it keeps the outlook constant for the current year and for the coming years. In the end, they say that they are convinced that core inflation will end up picking up and that it is good for them to see that it intends to converge towards the target. In addition, they consider that the economic recovery is still on course and that it has a very broad base. The euro has been reinforced by these intentions to move forward and also because next month the purchases of the quantitative programme will be halved. 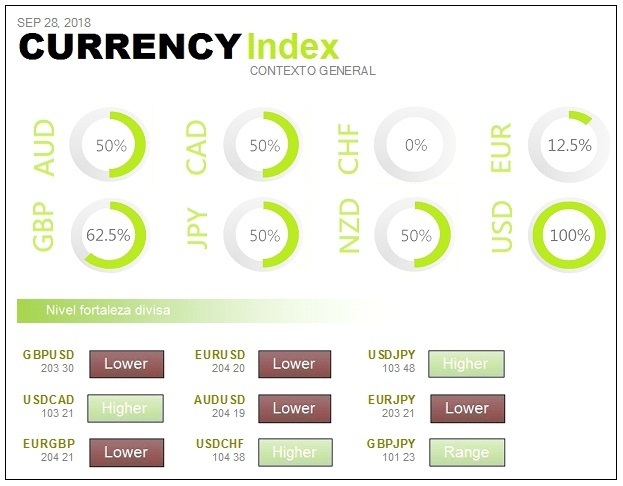 The euro has not only been favoured by this, but also by a patent weakness of the dollar when it has been known that the inflation figures for August have been worse than expected in all its items. Germany's inflation has remained at 2% in August, compared to the same month last year, which means that it is chained four consecutive months unchanged. Compared to the previous month, the CPI remained at 0.1% as energy prices rose from July. Conversely, food prices were slightly lower which also benefited consumers. In the opinion of the managing director of the International Monetary Fund, the escalation of the trade war between the United States and China could affect emerging markets. There could even be a contagion effect from the crises in Argentina and Turkey. Although the risk of contagion does not seem imminent. Lagarde recalled that this situation can change quickly and cited the uncertainty and lack of confidence generated by the threat of trade wars. It confirms that they have received a request from the United States to resume their negotiations. China is in favour of this hypothesis. It is convinced that neither China nor the United States want this trade war to escalate. It is against the interests of both countries and of the international community to continue to fail to reach agreements. On Monday, September 17, Asian markets remained in negative territory, amid reports that the United States may be preparing new $200 billion tariffs on Chinese products this week. In South Korea, Kospi suffered heavy losses. China's markets also fell into negative territory. In the ASX 200 the financial sector rose. Last Friday, the S&P 500 closed higher, while the Dow Jones Industrial Average gained 8.68 points and the Nasdaq Composite fell slightly. Earnings on Wall Street were limited because the U.S. president wants to impose tariffs on Chinese products worth $200 billion, despite Washington's attempts to reopen trade talks with Beijing. Beijing could decline to participate in those talks if Washington goes ahead with imposing additional tariffs on Chinese imports. During Monday's Asian trading session, the dollar remained above the low of a month and a half ago against a basket of major currencies, while investors awaited the details of a new round of U.S. tariffs against China. This could further deteriorate relations between the two giants. Oil prices fell in Monday's Asian session because of concerns that the United States is about to impose additional tariffs on China. That uncertainty outweighs fears of upcoming sanctions against Iran. Gold rose on Monday when bargain hunters bought the precious metal, after prices fell in the previous session. European markets are expected to open Monday's session downwards. The S&P 500 takes a 5-day winning streak with the rise of chip manufacturers. The S&P 500 recorded gains on Friday, September 14, as the shares of chip manufacturers rose. Earnings were limited, however, as reports say President Donald Trump wants to move forward with $200 billion in tariffs on Chinese products. The financial sector also pushed the S&P 500. The Dow Jones Industrial Average closed with a rise of 8.68 points, while the Nasdaq Composite fell slightly. The European stock market ended Friday's session on a positive note, as good results from overseas markets boosted investor sentiment. The STOXX 600 closed at 0.35 percent higher. Last week, however, it shot up 1.09 percent. 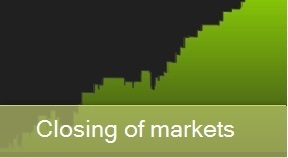 Almost all sectors in the region ended up positive, with the exception of utilities, retail and the media. Europe's automobile manufacturers and mining companies were the best sectors. Both groups' sentiments were reinforced by signs that trade tensions could be easing. President Donald Trump wants tariffs on $200 billion of Chinese products, despite the U.S. attempt to restart trade talks. The United States and China have already established tariffs on $50 billion of each other's imports since July, despite several rounds of talks. Trump has criticized China's record trade surplus with the United States and openly questioned whether it was manipulating its currency. Constantly, adjusting and refining your trading setups is a sign of strength, not weakness. Adapt or die. Nothing remains constant. That’s why entries, exits, trailing stops are never sacrosanct. Always question and refine your approach and remember that the best ideas will likely be an accident. So never fear to experiment. 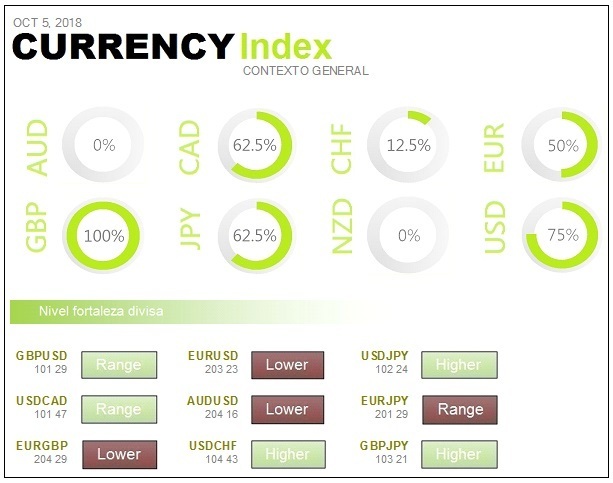 The last session was a bullish session in the European market, thanks to a combination of macroeconomic factors and comments from the Federal Reserve that have strengthened the Dollar by supporting European exporters. Evans said he wouldn't be surprised to see the Fed raise interest rates four times this year. This has supported the dollar. 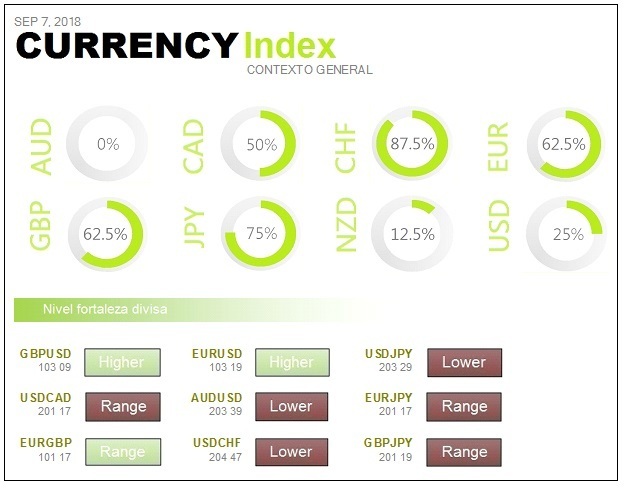 The strength of the dollar has negatively impacted on the strength of the euro and the yen, damaging commodities. Retail sales continue to grow in the United States, but have fallen far short of expectations. However, the more confidence there is in non-agricultural job creation, the safer consumers will feel and spending will increase. Industrial production has risen more than expected in the U.S. and the preliminary reading of University of Michigan consumer confidence has skyrocketed, reaching levels very close to the highs since the crisis. Asian markets were mixed on Tuesday 18 September, amid the new application of tariffs by the United States. In South Korea, Kospi recovered slightly from its previous losses. China's markets suffered losses. The ASX 200 was bearish after the release of the minutes of the last meeting of its Central Bank. Stocks in the health care sector plummeted. US equities closed down on Monday after President Trump announced a new press conference after the markets closed. Trump said he has great respect for Chinese President Xi Jinping, but the U.S. deficit is too large not to try to balance it. Heavy losses at some of the biggest technology companies also put pressure on the market in general. In Tuesday's Asian session the dollar dropped as world markets prepare for Beijing's response to new U.S. tariffs on Chinese products. Oil markets fell on Tuesday as the latest escalation in the trade war between China and the United States clouded the prospects for demand for crude oil from both countries, which are the world's two largest oil consumers. Gold prices fell during Tuesday's Asian session. Investors are seeking safety in safe haven currencies amid concerns about the global trade slowdown. Wall Street records slight falls on Monday 17 September. The market thus reacts to the intensification of the tariff conflict after it is known that the Trump Administration is considering imposing new tariffs on the Asian giant. The trade war is back on the table in global markets. According to media reports, on Monday Trump could announce new tariffs to China worth 200 billion dollars. Several weeks ago other tariffs came into effect for the same amount on Chinese goods. For its part, the Ministry of Foreign Affairs of China has stated that its government will retaliate if the United States imposes new charges on its products. Despite all this the eurozone published a CPI on Monday 17 September with a 2% increase in August. The German Dax, the index most penalized by the tariff war, is trading with slight declines. The Italian Mib is awaiting news from a key meeting for the 2019 budgets. The Ibex, on the other hand, stands out among the strongest and reaches maximums of 9,400 points. The U.S. trade offensive once again shakes the financial markets. Trump orders the advisors to study the introduction of tariffs to China in the amount of another 200,000 million dollars. The tariffs to be applied would be 10%, below the expected maximum of 25%. The Agency says it will be difficult for the country to grow above 1.5%. The International Monetary Fund has warned of the problems faced by the United Kingdom if it fails to reach an agreement with Brussels to ensure an orderly exit from the European Union. The Agency has explained that the country's economy will suffer a substantial cost. The IMF has assured, in its annual report, that its mediocre forecasts until now were based on achieving a friendly Brexit and a comprehensive trade agreement. The inflation rate in the euro area fell by one tenth last August in comparison with July to stand at 2%. In August 2017 the increase in prices in the nineteen countries sharing the euro lay at 1.5%. With regard to the European Union as a whole, prices rose by 2.1% in August. Inflation in the same month in 2017 was 1.7%. The future of Italy's ten-year bond continues to lower secondary rates and the price is already up 121 points. As a result, there are more increases for banks in Italy and Spain. On the other hand, the price declines in the secondary market of US debt are back. The ten-year return is again around 3%. This continues to make the mortgage market more expensive. More and more people are saying that the recent financial crisis will come from debt. As interest rates are rising, access to the housing market, which in 2018 is far from at its best, will become more difficult. Friday will be the day of the quarterly derivative expiration. All traders are scanning the market to see where a move can be generated that leaves the situation ready for the arrival of such a maturity. 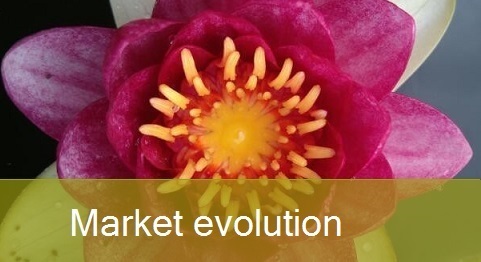 The market, thinking about maturity, could generate a strong movement. That moment could give a lot of volume and leave the market almost without strength until Friday arrives. Most Asian markets rose on Wednesday, September 19. In Australia, the ASX 200 benchmark rose, while the materials and energy sectors gained ground. In South Korea, the Kospi dropped slightly. Chinese markets were bullish. China faces a number of challenges and greater difficulties in maintaining a stable performance in its economy. But the country is comfortable with its situation and Beijing has prepared sufficient instruments to cope with various difficulties. China announced tariffs on more than 5,000 U.S. products, worth approximately $60 billion. They will enter into force on 24 September. Complaints to the World Trade Organization run the risk of provoking new measures by the United States, which could lead to all imports from China being taxed. Japan's Nikkei 225 was bullish. The Bank of Japan kept its monetary policy stable and has an optimistic view of the economy. In its monetary policy statement, the central bank stated that it expects the Japanese economy to continue its moderate expansion and that domestic demand is likely to follow an upward trend. The Japanese yen, which is considered a safe haven currency, weakened from last week's price against the dollar. The relative weakness of the yen probably led to support for major Japanese exporters. US equities rose in Tuesday's session, as the latest tariffs on US and Chinese products are not as bad as feared. 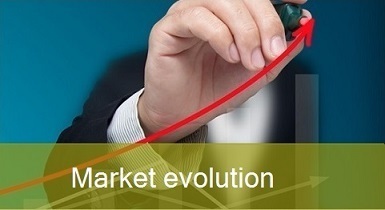 Strong gains in technology also supported the overall market. In Wednesday's Asian session, oil prices receded, after gains accumulated the previous day, and fell amid a surprising increase in U.S. crude oil reserves. Gold prices rose on Wednesday. New tariffs between China and the United States continue to generate uncertainty. Tariffs on Chinese products to be launched on 24 September. Its value will be $200 billion. That's 10%, well below the expected 25%. It looks like technology is going to get rid of those tariffs, so one of the market drivers in recent times is not going to be harmed. Operators rely on that to look for certain optimism. Technology is not as optimistic as operators and they have said that at some point tariffs are going to have to be passed on to prices. In fact, many people think that China has the frying pan for the handle, because it can stop the sale of components and materials necessary for the creation of American products in the bud. This would be brutal damage to American companies. Was a bullish session on Tuesday 18 September in the European market, at a time when various excuses are serving as a bullish motor in the face of a very complicated situation. In the secondary debt market Italy was touched, albeit only slightly. The future on ten-year debt has had slight sales, after it was known that the Minister of Economy has been asked to resign if he does not follow the government's mandate. They say that, if he does not agree to break the rules of Brussels, he should leave the executive. Saudi Arabia is comfortable with the barrel above $80. The largest exporter of crude oil in the world, it now seems to have no objection to it rising after following U.S. suggestions and boosting an increase in production. Saudi Arabia has tried to prevent crude oil from being traded above $80 so far this year. Partly because the U.S. president sent several messages in May and June asking the Organization of Petroleum Exporting Countries to curb prices near that level. The European Commission has presented a proposal to reform and modernise the World Trade Organisation, an institution that seeks to regulate trade relations between countries and the resolution of their disputes. This body is one of the main exponents of the global and multilateral world and, therefore, one of the potential victims of the trip to unilateralism undertaken by the United States. The European Commission's proposals focus on three areas: reforming the rules governing world trade to adapt them to the new situation, strengthening the WTO's capacity and powers to monitor compliance with those rules and avoiding blocking the dispute settlement system. European Union leaders meet on Wednesday and Thursday in Salzburg, with Brexit negotiations on the day's agenda. Its representative, Donald Tusk, has issued a warning: unfortunately, a non-agreement scenario is quite possible. But if we all act responsibly, we can avoid a catastrophe. The United Kingdom is leaving the European Union on 29 March. The EU has set itself the beginning of November as the deadline for reaching a divorce settlement. Otherwise, it will not have time to adopt all the parliamentary and legal formalities it requires. The non-agreement scenario would mean that the UK would become a third country vis-à-vis the EU, raising huge tariff, regulatory and political barriers between the two economies. China will take countermeasures to safeguard its legitimate interests. It hopes that the United States will see the damaging consequences and rectify them in time. China deeply regrets the decision of the United States to apply a new round of tariffs on Chinese products, worth $200 billion, and assured that this measure will bring new uncertainties to bilateral consultations. Asian markets were mixed on Thursday, September 20. Japan's Nikkei 225 was flat, while the Topix declined slightly. In South Korea, Kospi won, with major stocks showing a mixed tone. Mainland Chinese markets traded lower. The ASX 200 fell, as most sectors were trading lower. The Asia session followed slight gains on Wall Street, despite escalating U.S.-China trade tensions throughout the week. On Wednesday, Chinese Prime Minister Li Keqiang said in a speech at the World Economic Forum in Tianjin that his country currently faces a number of economic development difficulties and challenges. He acknowledged that there are now greater difficulties in maintaining the stability of his economy. During Friday's Asian trading session, the Dollar was unchanged against most of its major currency pairs after disappointing economic data was released. The U.S. dollar is expected to see its highest weekly rise since 2017, amid inflationary expectations and rising U.S. interest rates. On Wednesday, U.S. oil futures reached their highest level in more than two months. They were driven by the fifth weekly reduction in crude oil inventories and strong domestic demand for gasoline, amid continued concern over U.S. sanctions against Iran that will take effect in November. Gold rose during Thursday's Asian trading, while the U.S. dollar remained largely unchanged. Markets are now not very concerned about the recent escalation in the trade war between China and the United States. Rising interest rates boosted earnings in the banking sector. Wall Street sentiment was also boosted, as investors bet that the US-China trade war will not be as severe as feared. The Dow Jones Industrial Average closed with gains, with Goldman Sachs as the best stock. The S&P 500 advanced, as the financial sector was very strong. However, the Nasdaq Composite fell, as Amazon, Netflix and Apple were weak. A bullish session in Europe on Wednesday 19 September, and there is only one day left for the quarterly expiration of derivatives. The bet continues for the benevolence of the new US tariffs to China, as they are 10% instead of 25%. However, the inflation figure in the United Kingdom, which has been better than expected, has had a very important influence. It is above wage growth, so that the economy is once again being damaged. Europe's main index futures are comfortably positive but, if you look at the market inside, you see quite a few supersectors in negative. Wall Street registers soft purchases on Wednesday 19 September, while New York indices are trading near their historical highs. The market reacts calmly after the replica, in the form of new tariffs, from China to the United States. What does the fear index say about a correction in the stock markets? This index moves inversely to the way the stock markets do. When it rise strongly the volatility increases and the stock markets correct. There is still no confirmation that Wall Street is going to experience any kind of correction that could make the markets nervous. But this does not detract from the volatility index, better known as the fear index or VIX. Donald Tusk, President of the European Council, has urged London to redraft its Brexit proposal in order to avoid an abrupt exit from the European Union on 29 March. He has done so hours before the dinner of European heads of state or government in Salzburg, where the British Prime Minister will give her views on the negotiations. Tusk referred to two specific areas: the issue of the border with Northern Ireland and the framework for future economic relations between the United Kingdom and the European Union. This should not be good for raw materials in the medium term. Despite the recent upsurge in the prices of several metals. With regard to crude oil, the API Institute has predicted a slight rise in weekly reserves. This means that there may be movement in the presentation of official figures. 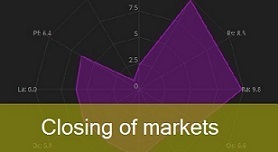 The Australian and Hong Kong markets remained in negative territory on Monday 24 September. The ASX 200 recovered from its previous losses, but still traded slightly lower in the end, with the heavily weighted financial sector taking a turn. In the China region, Hong Kong's Hang Seng index remained in negative territory. The markets of Japan, South Korea and China closed on Monday for a holiday. The U.S.-China trade war remains the focus of attention, with tariffs coming into effect on both sides. Markets have started the week with problems, after China withdrew from scheduled talks with the United States just hours before the next round of tariffs is introduced. The dollar was affected after China convened the U.S. ambassador in Beijing to protest the U.S. decision to sanction a Chinese military agency. Oil prices rose on Monday, a few weeks before Washington's plan to impose new sanctions against Iran. The main operators and banks expect prices to rise above 90 dollars per barrel in the coming months. During Monday's Asian trading day, gold lost ground. The market is focused on this week's meeting of the U.S. Federal Reserve, seeking guidance on future interest rate hikes. The Dow Jones Industrial Average and the S&P 500 reached all-time highs on Friday, September 21, and recorded strong weekly gains as global trade concerns eased. The gains took the Dow last Thursday to its first all-time high since January, the same day the S&P 500 reached its first all-time high. Investors' fears of a full-blown trade war are diminishing. On Monday, both the United States and China will launch their tariffs. Although the fact that the Americans are only 10% instead of 25% has given hope that everything will end in an agreement, especially because China is still open to dialogue. A bullish session in Europe on the day of the quarterly maturity of derivatives, Friday 21 September, where there has been some weakness. The reality is that everything is in the hands of investors in the United States. The economic data has not been entirely favourable, because the September preliminary reading of the purchasing managers' indices has come down again. But the service sector in Germany is trying to sustain everything. The mood continues to warm up with regard to the UK's exit from the European Union. Cross-statements are again being made that a new plan needs to be put forward. Nobody is convinced by the current situation, so everyone keeps saying that you have to prepare for any situation. From England some parliamentarians and ministers are already saying that, given the behaviour of the European Union, many people would be in favour of a way out without agreement. In any case, the international environment says that it would be a disaster and more so for the United Kingdom. "I think that banking institutions are more dangerous to our freedoms than whole armies ready for combat. If the American people allow private banks to control their currency one day, all the institutions that will flourish in their environment will deprive people of all They will do so first through inflation, then by recession, to the day when their children will wake up without a home and without a roof over the land that their parents conquered. " This should not be good for raw materials in the medium term, despite the recent upsurge in the prices of several metals. Asian markets are mixed on Tuesday, September 25, amid political uncertainty in the United States. China's markets remained bearish after Monday's holiday. In Australia, the ASX 200 recovered from its previous losses, with the heavily weighted financial sector suffering losses. The Nikkei 225 clung to a large extent to its previous gains to continue to rise. The Hong Kong and South Korean markets are closed for a holiday. On Wall Street, the Dow Jones Industrial Average fell. The S&P 500 also fell, while the Nasdaq Composite resisted the general trend and rose. The moves in the U.S. came as a result of news that U.S. Deputy Attorney General Rod Rosenstein was about to resign or be fired. The U.S. dollar rose against the euro and Japanese yen Tuesday, as investors are paying close attention to the Federal Reserve meeting. Interest rates are expected to increase this week. Trade disputes between China and the U.S. keep the markets in a cautious position. 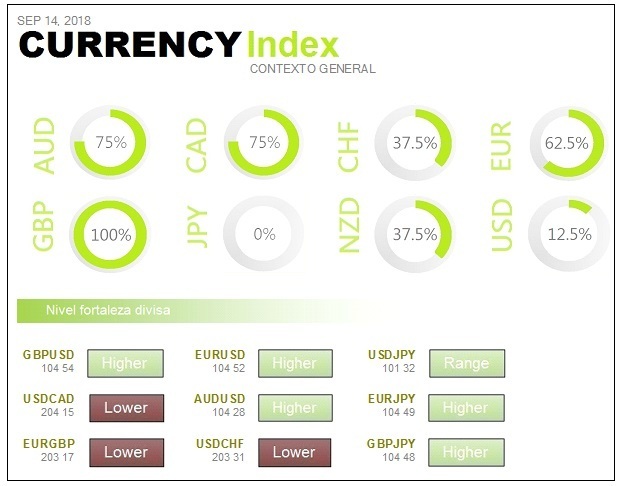 The European currency reached a three-and-a-half month high in the previous session after Mario Draghi expressed confidence in maintaining Eurozone inflation and wage growth. Oil prices nearly reached four-year highs as the threat of U.S. sanctions against Iran and the unwillingness of the Organization of Petroleum Exporting Countries to increase production supported the rise. In Tuesday's Asian session, gold was stable while the dollar was firm on the eve of the two-day meeting of the U.S. Federal Reserve. Trade tensions between the U.S. and China kept investors nervous about the risks to global growth. Pending the assessment of the initiation of tariffs between the United States and China. Was a weakness session on Monday 24 September, following the quarterly expiration of derivatives and the start of tariffs between China and the United States. It should be noted that China has broken off its trade talks with the United States and the tension is higher than ever. The price of crude oil is hovering around 72 dollars a barrel, because the market doubts that OPEC has real intentions to cover Iran's production. Moreover, if the price of crude oil rises too high, inflation will accelerate and force the Federal Reserve to raise interest rates faster than expected. This may leave the U.S. economy untouched. This week there is a meeting of the Federal Reserve and interest rates are expected to rise. 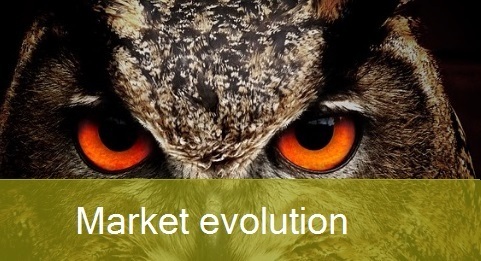 Technology is back in the spotlight, because the SP 500 has launched a new sector. It is the communication services sector, where the most important ones are. It is continuing to take steps to end lax politics and make funding more expensive. 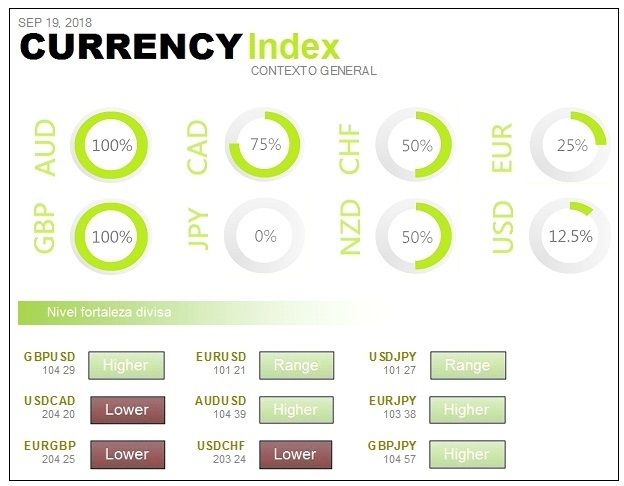 This is giving significant support to the euro, on Monday 24 September, at almost all major currencies crossings. Most supersectors are in negative and the worst of the day are cars and spare parts, along with basic resources. The prospect of a reduction in growth in the world economy, already warned last week by the OECD, impacts on the demand for raw materials and the trade war hurts exporters. It does not increase production, as the president of the United States had requested. Oil prices rose more than 2 percent, to their highest level in four years. Trump is determined to increase global oil supply. Saudi Arabia, the leader of OPEC, and its biggest ally, Russia, ruled out any further and immediate increase in production and thus rejected Trump's call to cool the market. Unemployment in the European Union has fallen from 7.6% to 6.8% in one year. The highest figures are in Greece (19.1%) and Spain (15.2%). The lowest were in the Czech Republic (2.3%) and Germany (3.4%). In a quarterly report, the European Commission makes a report of the employment situation in the EU. It concludes that EU employment figures continue to break records, with a total of 239 million workers and 158 million in the eurozone. Employment has grown steadily for five consecutive years. The situation of rates in the United States is record. Interest rates are also expected to rise to 2.25% this week. Canada is behind and then the United Kingdom. Cheap money seems to be coming to an end and all that's left is for the ECB and the BoJ to come together. Investors analyze the current circumstances. On the one hand, the danger to the world economy from trade war may last for years. On the other hand, the rise in crude oil can trigger inflation, along with rate hikes. Inflation is high and the price of crude oil is on an upward trend. It should also be remembered that gold is often used as a hedge against inflation. Asian markets turned around on Wednesday, September 26, to be mainly in positive territory, despite the White House's reaffirmation of its tough trading stance. The Nikkei 225 recovered from its initial losses. The Topix index recovered from its previous low. The ASX 200 ultimately reduced some of its gains, but was still positive. In Chinese markets, Hong Kong's Hang Seng index extended its previous gains. The Shanghai composite was also bullish. On Wall Street, the Dow Jones Industrial Average fell, while the S&P 500 also ended the day down. The Nasdaq Composite recorded gains, thanks to advances in Amazon and Apple stocks. On Tuesday, the president of the United States reiterated his Administration's position on trade. He said, in the United Nations General Assembly, that his country will no longer tolerate abuses on that front. 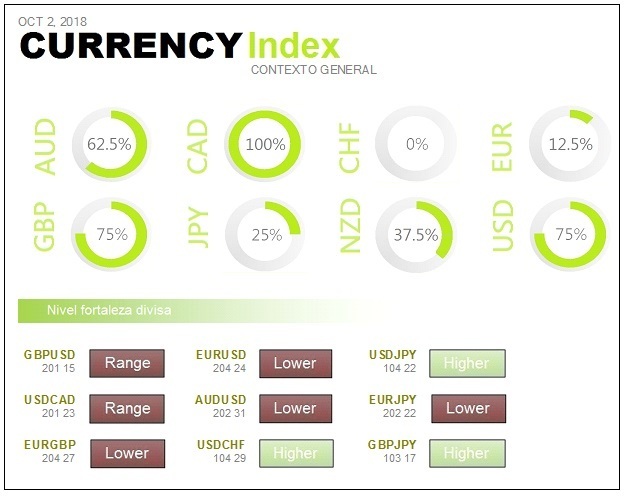 During Wednesday's Asian trading session, the dollar remained within a narrow range as investors focused on the Federal Reserve's policy review and the escalation of the U.S.-China trade dispute. The U.S. dollar fell against the Australian and New Zealand dollars, which was supported in part by a survey that showed a rebound in New Zealand business sentiment. Crude oil moved further away from its four-year high. It does so after the U.S. said it would make sure crude oil markets were well supplied, before sanctions are imposed on Iran and while Trump criticized the high prices reached. Gold was bearish Wednesday in Asia, as investors waited for signals from the two-day meeting of the U.S. Federal Reserve. Monetary policy makers are expected to raise interest rates for the third time this year. Waiting for the Federal Reserve with many factors to consider. Was a complicated session on Tuesday 25 September, where it has been hard to find a clear direction. It is the week after the quarterly maturity of derivatives, where there is usually a lack of strength enough to get to move the market. One of the factors that invite no to move is the waiting for the meeting of the Federal Reserve, where it anticipates a further rise in interest rates. Ten-year notes in the US are hovering around the highest of the last seven years and, furthermore, consumer confidence as calculated by the Conference Board has been at its highest since September 2000. With regard to raw materials, the high price of crude oil is the weak point of Donald Trump's entire economic strategy. It has penalized a lot in the German index on Tuesday September 25. The reduction in the forecasts made by BMW, due to the change of regulation in the emission of polluting gases, and the dangers of the trade war have had a lot of weight. Germany's industrial association has reduced its growth prospects for this year due to the impact of the United States' trade strategy, the exit of the United Kingdom from the European Union and the xenophobic outbreaks that appear in large German cities. If there is one thing typical of the current president of the United States is his unconventional way of doing things in politics. His trade strategy is not shared by many parts of his party and everyone is lowering global growth forecasts precisely as a result of that attitude. This policy has a weak point: excessive confidence in its own strength. The US economy is threatened by changes in interest rates, inflation and oil prices. This does not mean that it can alone compensate the production of the rest of the producing countries. OPEC has a relationship with Russia, in this agreement to reduce production, in order to boost crude oil prices. Crude oil above 72 dollars is a very important support for inflation and, bearing in mind that we are facing a time of the year when consumption is increasing, the price could go up more. With the level of growth of the U.S. economy, domestic consumption inflation is very important. If the price of crude oil remains at current levels the extra support for inflation will be much more important. If inflation starts to rise strongly, the Federal Reserve will have to react accordingly by accelerating interest rate hikes and this could jeopardize the US economic recovery. If we combine the situation of the real estate market in the United States with what can happen with interest rates, mortgage rates and what the oil producers decide, then we are in an extremely dangerous situation. Not only for the North American economy, but also at a global level. Arithmetic average yields tend to exaggerate actual yield. The more volatile the yield, the more important it is to use volatility in calculations. The low volatility of returns can play an important role. It is wise to be aware of the volatility of returns in your trading strategies. For many traders, less stress leads to a happier life. On Thursday, September 27, Asian markets were negative, based on the Fed Chairman's comments about inflation after the central bank decided to raise interest rates. The Nikkei 225 lost its initial gains, although the shipping industry advanced. In South Korea, the Kospi lost some of its previous gains, but remained on the upside. The ASX 200 remained in negative territory, with the Commonwealth Bank of Australia falling. In the China region, Hong Kong's Hang Seng index was bearish. The Federal Reserve raised its interest rate a quarter of a point and improved its expectation of economic growth for this year and next. At the same time, it provided a roadmap of what awaits it until 2021. The interest rate remains at 2.25 percent, a value last reached in April 2008. This is the eighth increase since the Federal Reserve began normalizing policy in December 2015. On Thursday, the dollar remained stable. U.S. Treasury yields reduced their support for the dollar. Oil prices rose one percent on Thursday, as investors focused on the prospect of tighter markets due to U.S. sanctions against Iran. During Thursday's Asian trading, gold rose, as investors looked for cheap stocks. It does so after falling to a two-week low and with U.S. interest rates rising. Federal Reserve raises interest rates, raises economic prospects and drops 'accommodative' word. U.S. equities closed lower on Wednesday, September 26, as comments by Federal Reserve Chairman Jerome Powell drove banks lower. The last step in the normalization process, apart from the rate hike, came with Wednesday's statement. The committee dropped that the monetary policy stance remains accommodative. The markets have been watching to see if that phrase would be removed after members indicated, at the August meeting, that it would soon be time to make a change. However, the phrase remains. Committee members also indicated that the funds' interest rate is likely to remain two years above what they call the 'long-term neutral rate’, which is neither restrictive nor stimulating. The Stoxx 600 closed higher on Wednesday, September 26, with different sectors moving in opposite directions. Basic resources were the sector that lost the most. This session marked a step back from Tuesday's strong earnings by mining stocks. The FTSE 100 in London ended Wednesday's session almost unchanged. Traders don't want much trouble because of the FED meeting. It is completely discounted that there will be a rise in interest rates and we will be especially attentive to the prospects of future rises. Little change is expected, especially after the release of a good consumer confidence figure showing that the trade war is not damaging consumer morale. The Fed will almost certainly announce an interest rate hike of 25 basis points to 2.25%. Central banks should limit themselves to supporting the economic policies of governments, because they should not be the guarantors of the progress of a country's macroeconomy. The European and US economies still have the support of their central banks. They are currently facing monetary normalization and the thinning of their balance sheets. This is a scenario in which the next economic crisis will probably take place. There are only six months to go before the exit date and the negotiations are at an impasse. There is news that there are brands that are implementing their contingency plans, in the face of what may happen. They accumulate spare parts, certify models in Europe or postpone holidays, to continue manufacturing before departure. In this way, they try to avoid problems derived from a conflictive solution. Now that all attention is focused on the direct confrontation between Donald Trump and OPEC, the API Institute says that this week there will be an increase of almost three million barrels in the numbers of weekly reserves of crude oil. For distillates, it will be a decrease of -0.94 million barrels and for gasoline an increase of 0.95 million. On Friday, September 28, Asian markets remained very positive, amid the gains of the Japanese Nikkei 225, which recorded its highest intraday level in almost 27 years. On the Nikkei 225 most sectors traded in positive territory. In the morning, the index recorded its highest intraday levels since November 1991. Japanese stock movements followed the release of data showing that the country's unemployment rate had fallen by 0.1 percent from the previous month to 2.4 percent. Japan also experienced a month-on-month increase in industrial production in August, while retail sales in August were higher than in the previous year. In the Bank of Japan publication ahead of its September meeting, the central bank said the contrast between the U.S. economy and other economies is becoming more evident. The ASX 200 also made gains, with most sectors in positive territory. The Commonwealth Bank of Australia share price was in decline for much of the week. On Wall Street, the S&P 500 rose, breaking a four-day losing streak. The Dow Jones Industrial Average ended a three-day decline. The Nasdaq Composite also recorded gains. The Wall Street moves came after the Federal Reserve's latest decision to raise interest rates by 25 basis points for the third time in 2018. The central bank removed the word 'accommodative' from its statement. During Friday's Asian trading session, the U.S. dollar held steady against most of its currency counterparts, reaching a nine-month high against the Japanese yen. It does so after U.S. economic data reinforced the bullish trend and supported the Federal Reserve's decision to continue raising interest rates next year. Oil prices rose on Friday and investors tried to assess the possible impact on supply of imminent U.S. sanctions on Iran's crude oil exports. Gold hit a six-week low, while the dollar strengthened on encouraging U.S. economic data that supports the Federal Reserve's decision to keep interest rates on the rise next year. In the United States corporate profits have fallen sharply. In the figure published on Thursday 27 September, the previous 8.2% is reduced to only a 2.1% increase, which is worse than expected. Orders for durable goods also picked up in August and goes from a decrease of -1.2% prior to a growth of 4.5%. The most important figure in the United States has been gross domestic product, in its final reading of the second quarter, which remains at 4.2%, up from 2.2% in the previous quarter. Finally, the sale of homes pending deed does not offer a good reading. It remains negative, from a decrease of -0.8% previous falls to -1.8%. It should be remembered that fixed mortgage rates to 30 years are at maximums of more than seven years. 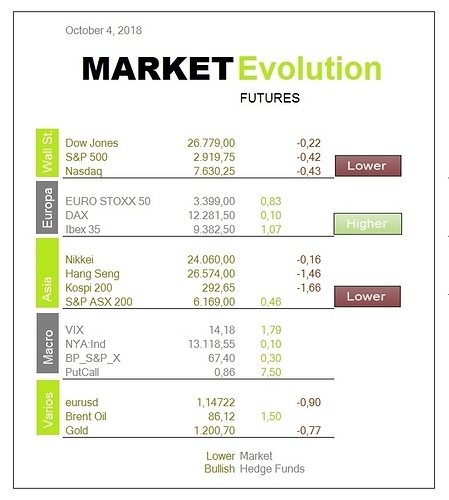 A bullish session in Europe on Thursday, September 27, despite the fact that the United States was frightened because the Federal Reserve raised interest rates again. In Europe, a rebound began that led to new highs, overcoming the problems in Italy. It should be in mind that the Federal Reserve's movements tend to generate an upward movement in yields in the secondary debt market and give more support to the dollar. A fall in the euro makes European exporters very happy. The worst thing in Europe is once again Italy. It has generated nerves that the party of La Liga Norte said that nothing happens if the deficit in next year's budgets is a little higher than Europe wants. However, the medium- and long-term auction has seen a sharp drop in yields, which shows that the worries are not going any further. Wall Street recorded slight gains on Thursday, September 27, after falling moderately on Wednesday and after the Federal Reserve's expected rate hike. The Federal Open Market Committee unanimously decided to raise interest rates by a quarter of a point to 2.25 percent. It thus meets market expectations. It is the first time they have returned to these levels since 2008. The main change in the text was to eliminate the term 'accommodative' policy. The Central Bank continued to rate both economic activity and the labour market as strong. A further rate hike is expected before the end of the year and three additional hikes in 2019. The Gross Domestic Product grew at an annual rate of 4.2% in the second quarter of the year, in line with expert estimates. The boom in growth in the second quarter was led by consumer spending, exports and federal and state government spending. These data indicate that investors should not be worried about the trade war. The Trump Administration's forecast is that the country's growth will reach an annual rate of 3%. Consumer and business confidence in the eurozone economy fell by 0.7 points in September. The European Union as a whole also saw a decline of 0.9 points. World trade will grow by 3.9% in 2018. That is five tenths less than the 4.4% that the World Trade Organization predicted last April. Rising trade tensions and more difficult market conditions will reduce trade growth for the rest of the year and for 2019. However, experts specify that while trade tensions pose the greatest risk, tighter monetary policies and associated financial volatility could further destabilize trade. The current range estimates that the increase this year will be between 3.4 and 4.4%. Asian markets were mixed on Monday, October 1, after the United States and Canada announced that they had reached an agreement to replace the North American Free Trade Agreement. The Nikkei 225 continued its upward trend. The movements in Tokyo were due to the publication of a survey, conducted by the Bank of Japan, which showed that business confidence among the country's major manufacturers had fallen for the third consecutive quarter. Meanwhile, in South Korea, the Kospi was down. The ASX 200 fell, with most sectors in negative territory. Movements in the financial sector came as a result of an interim report by the Royal Commission of Australia on misconduct in the banking sector. The release of macro data in China showed that manufacturing growth slowed in September, with both external and domestic demand weakening. The data comes with the U.S.-China trade war reignited. On Sunday, the United States and Canada reached an agreement to replace NAFTA. The new agreement, which has been called USMCA, came at a time when Ottawa and Washington negotiators were meeting the U.S.-imposed deadline of September 30. The U.S. dollar fell against the Canadian dollar when the United States and Canada reached an agreement to update the North American Free Trade Agreement. The agreement includes offering more access to U.S. milk producers. It also limits exports of automobiles to the United States. A Mexican source has stated that there is now a trilateral agreement. Brent crude oil prices rose to their highest level since November 2014, before U.S. sanctions against Iran will begin next month. During Monday's Asian trading day gold fell, while the dollar was reaffirmed after the Federal Reserve indicated that it will apply a more restrictive monetary policy. Investors closed on Friday, September 28, a quarter marked by strong earnings. The US has continued to look at the macroeconomic data result. Its good performance has managed to curb the downturns in Europe. 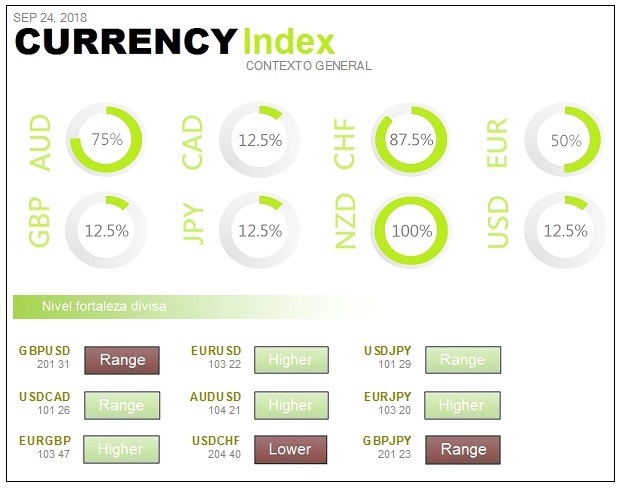 An important point of the day has been in the currency market, because the dollar has revalued again following the break of Thursday's trend. This has made both the euro and the yen weaker. The weakness of the Euro supported export companies but, as the situation in Italy worsened, the decline of the Euro joined political concern. Quite a negative session in the European market on Friday 28 September but, thanks to Wall Street still maintaining its composure, it was possible to close the session far from the day's lows. Everything has been focused on the behaviour of the secondary debt market, where the future of Italian ten-year bonds has come to lose more than 350 points. In addition, the ten-year yield has skyrocketed alarmingly. The focus has been on the agreement that the 2019 budget in Italy will have a deficit above 2%. Everyone interprets it as a direct attack on Brussels. There has been some contagion in Spain, for fear that political instability will also make this country go the same way. Most of the supersectors in Europe have ended up in the negative. The worst of all has been banking, although it closes far from the session lows. Italian banks bear the brunt of the downturns, some of them above -8%. The Eurozone Consumer Price Index rose to 2.1% in September from 2% in August. It is in line with market forecasts and meets the European Central Bank's target. A downgrading, by one or more rating agencies, would put more pressure on Italian assets. In such a situation a sudden stop in the supply of capital should not be ruled out. The European banking sector falls because markets have lost confidence in the Italian government. Italian bond sales are massive and only the fact that the European Central Bank is giving a buying counterpart saves the country. These are estimates from the Federal Reserve and other experts. They will do so as long as economies move forward. The rise in interest rates and the rise in the price of housing in recent years are factors that reduce buying power and undermine demand. The level of new home inventories has risen above crisis highs, but requests for new mortgages have fallen sharply as sentiment polls worsen. With Trump's protectionist measures, imposed to fight the chronic trade deficit of the United States, now comes a disappointment. In the new data that appear, it is observed that the level of deficit has reached maximums in August. 75.8 billion dollars, compared to the expected 70.8 billion. The trade war seems to be failing to achieve its objective. The entry into force of Chinese retaliation has had a very significant impact on exports of American agricultural products. On Tuesday, October 2, Asian markets remained negative, as the U.S.-China relationship appears to have worsened. South Korea's Kospi fell, despite data showing that the country's year-on-year output is above expectations. The ASX 200 also continued its decline, as most of the country's banks continued to suffer losses. Hong Kong's Hang Seng index also experienced further losses. The Nikkei 225 returned to positive territory. The Dow rises almost 200 points, after the United States and Canada reached an agreement to replace NAFTA. Stocks closed higher on the first day of the fourth quarter, as investors were satisfied with Canada's adherence to a trade agreement with the United States and Mexico. The Dow Jones Industrial Average rose, with Chevron and Boeing being the best. The S&P 500 rose, led by gains in energy and materials. However, the Nasdaq Composite closed down, as declines in Facebook and Intel limited technology gains. During Tuesday's Asian trading session, the dollar gained against most currencies as risk appetite weakened. Traders were waiting for the outcome of the Reserve Bank of Australia's monetary policy meeting, which left interest rates unchanged. Oil markets held firm on Tuesday and Brent crude oil prices peaked at almost four-year highs in the previous session. Markets are adjusting to the prospect of a tighter supply once U.S. sanctions against Iran take effect next month. During Tuesday's Asian trading session, gold advanced strongly after the U.S. and Canada agreed to rescue the North American Free Trade Agreement. The Dow rises on Wall Street on Monday 1 October. The strength of stock futures comes after Canada joined, at the last minute, the United States and Mexico in a new agreement to replace NAFTA. The 24-year-old NAFTA, which President Trump said was a disaster, will be replaced by the USMCA. Trump expressed his approval Monday morning and called it a wonderful trilateral agreement. 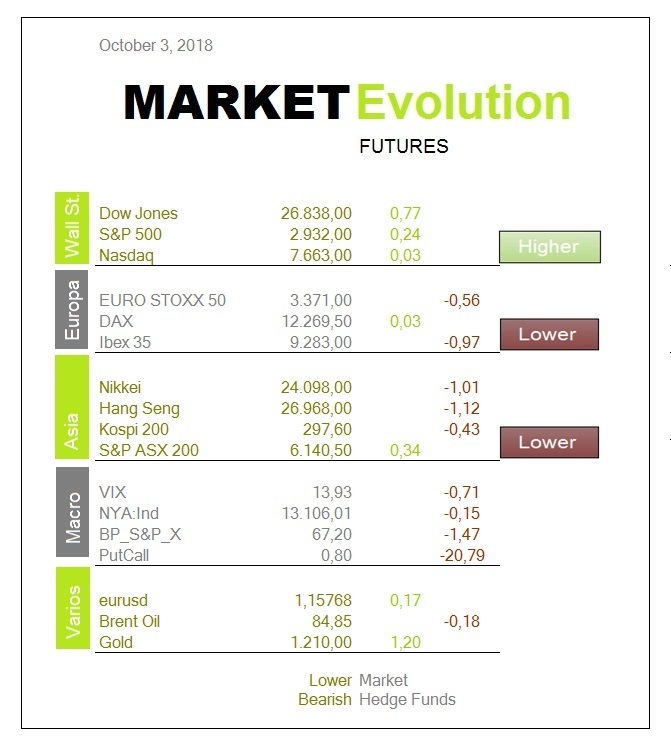 Monday's session in Europe on October 1 is bullish, but there is a way to attack last week's Thursday's high. The commercial tension continues to affect the outlook for the economy. The manufacturing sector continues to bear due to all the trade tension, the threat of tariffs and the change in the regulation of polluting emissions. This change has already caused some large groups to have to reduce the prospect of their benefits. On a positive note, Mexico, the United States and Canada have reached an agreement to modernize the Nafta treaty. This is supposed to low the trade tension. In Europe most supersectors are in positive, but travel and leisure remains among the worst. Last minute agreement for the renewal of the treaty between Mexico, Canada and the United States. This should be an important relaxation point for risky assets and should generate an increase in yields in the secondary debt market. 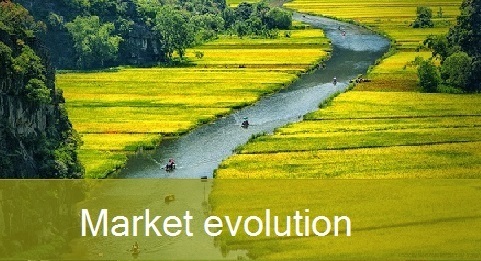 However, now the important problem is in China, because it has much more presence in the supply chain of many products. He abandons his position and pays a fine of 20 million dollars. This is celebrated with promotions of more than 15%, given the possibility that the company's value can now be added. The new situation may awaken the appetite for technology, but always looking sideways at the consequences of what may happen to China and its impact on the supply chain. In China, the index of purchasing managers in the manufacturing sector is just 50 in China. In this situation the index is very close to the contraction level. The Brent is at November 2014 highs, above 83 dollars per barrel. In the case of the West Texas barrel, of reference in the United States, the rise is 0.08% to 73.3 dollars. The WTI price is supported by Friday's report which points to a slowdown in US crude oil production. In the case of the Brent, the price skyrocketed to its maximum, due to the imminent sanctions against Iran. The Iranian deputy foreign minister, Abas Araqchi, warned that the new unilateral U.S. sanctions will result in oil prices. The British Minister for Brexit, Dominic Raab, has insisted that his government is prepared to remove the United Kingdom from the European Union without agreement, if necessary. In this context, Santander Bank recognises that Brexit will generate uncertainty and will have an impact on its operating results. Asian markets show a mixed tone on Wednesday, October 3, after the historic high of the Dow Jones Industrial Average on Wall Street. The Nikkei 225 fell despite the fact that Japan's economy is improving and, at the moment, is not subject to the trade war waged by the United States. In Australia, the ASX 200 expanded profits, supported by gold mining companies. In Hong Kong, the Hang Seng index fell in the early trading hours. On Tuesday, the Dow Jones Industrial Average reached record highs, boosted by Intel earnings and optimism about global trade. The trend began in the previous session, after Canada joined the United States and Mexico in a new trade agreement. The new agreement will grant more market access to U.S. dairy producers, while Canada has agreed to limit automobile exports to the United States. Market reaction suggests that investors are less worried about the trade war now. The dollar weakened during Wednesday's Asian trading session. Italy continues to have a negative influence on the euro, after Claudio Borghi said that most of the country's problems would be solved if it regained its own national currency. Later the Italian Prime Minister, Giuseppe Conte, said that the euro is indispensable. On Wednesday, oil prices fell due to the release of U.S. oil inventories that reflect an increase in production. Despite this, prices remain close to the four-year high before U.S. sanctions against Iran's oil exports, which will begin next month. The price of gold rose in the Asian session on Wednesday, after gaining more than one percent in the previous session. It has been driven by demand for safe-haven assets, as Italy's budget plan represents a possible clash with the European Union. European markets are expected to open Wednesday's session downwards. Moderate falls on Wall Street after Monday's rally. Wall Street recorded moderate falls on Tuesday October 2 after Monday's rally and while the market reacts to a new episode of trade war between the U.S. and China. Trade tensions between the two largest economies in the world are still latent and the Pentagon has cancelled this Tuesday the visit of the U.S. Secretary of Defense, James Mattis, who was going to visit China this month. In addition, the United States is also suffering from tensions in the Old Continent, due to the political situation in Italy, which is trying to move forward with a budget with more deficit than those allowed by Brussels. The Italians want to maintain a deficit in the 2019 budget above what European rules dictate. Moreover, comments that everything would be all right if Italy had its own currency have put the euro under more stress. Subsequently they had to rectify by saying that 'the Euro is irreversible'. According to Salvini the attacks from the markets do not come because of the strong deficit assumed, but because of Brussels' complaints against the deficit. Borghi for his part says that a deficit of 2.4% is not revolutionary. The Italian politicians, who do not stop making statements, do not mention the deficit of 130% of GDP which is the second largest in the Eurozone, after Greece and a long way from all other countries. Powell's statements will focus on employment and inflation forecasts. At the economic level, on Wednesday the evolution of the services sector will be known and the employment data for September from the consulting firm ADP, which is a preview of the official Employment Report that will be published by the U.S. government on Friday. The consensus expects wages to recover at a year-on-year rate of 3%, the unemployment rate to fall to 3.8% and the economy to create 188,000 new jobs. Oil is trading flat and close to its 2014 highs. It is doing so in the face of imminent US sanctions against Iran, which will come into effect next November. The West Texas barrel rose 0.2% to 75.49 dollars. In the currency market, the euro is depreciating by 0.32% against the dollar. A member of the Italian executive, Claudio Borghi, the economic director of the Northern League has said that 'a currency of their own would solve their problems'. Subsequently they had to rectify. Conte says that the euro is Italy's currency, that it cannot be renounced and that any opinion against the euro does not agree with the government's position. The reaction to Borghi's words, which tighten the string even more, has not been long in coming. All European stock markets have been bearish. In addition, Italian bond yields have marked levels not seen since 2014 and the Italian risk premium reaches five-year highs. They prepare the ground for rejecting the 2019 budget, designed by the Italian populist government. The commissioner of Economic and Financial Affairs, the French socialist Moscovici, stated that it is not in Italy's interest to continue accumulating debt and that the Italian government should tell the truth to its electorate. His affirmations were answered by the Italian Executive. The leader of the Five Star Movement and vice-president of the government, Di Maio, stated that there was no reason to question the 2.4% deficit. This story has only just begun and will probably become a headache for the Eurozone in the coming months. It is not known to what extent this crisis could change the European Central Bank's plans to withdraw its stimulus, but it is certain that they will analyze it in detail. Asian markets were mostly bearish on Thursday, October 4, after moderate movements on Wall Street during the previous session. The Nikkei 225 traded lower. The Kospi continued to spread its previous losses, following reports that Bank of Korea Governor Lee Ju-yeol hinted at a possible interest rate hike at the end of October. Stocks of South Korean cosmetics brands were affected by bad sentiment from Chinese consumers. The ASX 200 reduced some of its previous gains, but continued to rise, with the financial sector rising. Federal Reserve Chairman Jerome Powell said the U.S. Central Bank is far from neutral on interest rates. 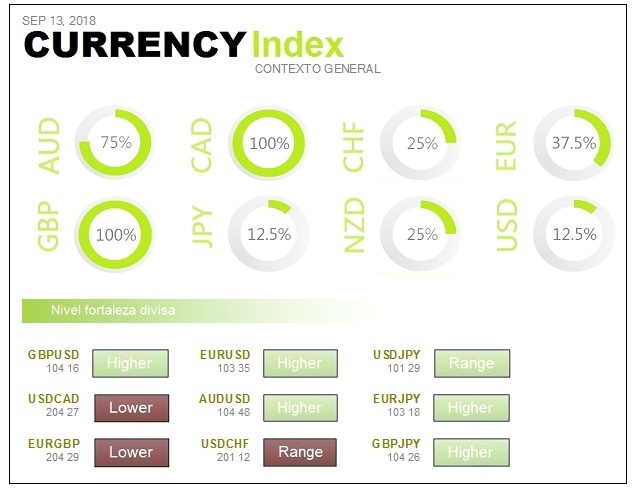 On Thursday, the dollar hit an 11-month high against the Japanese yen, while it held steady against the rest of the world's currencies. It was boosted by a rebound in U.S. Treasury yields after Federal Reserve Chairman Jerome Powell released encouraging data and comments. Oil prices fell during Thursday's Asian session from the four-year high of the previous session. They were pressured by rising inventories in the U.S. and after Russia and Saudi Arabia signed an agreement to increase crude oil production. Gold moved in a narrow range during Thursday's Asian trading session, following losses in the previous session. It does so as U.S. economic data and comments from the Federal Reserve boosted the dollar. The job creation figure for September will be released on Friday. Before this, the ADP consulting firm has made an advance above 200,000, when it was expected to be below. As if that were not enough, the ISM services has been above the peaks of recovery from the crisis and remains at levels prior to it. It is an important sample of the strength of the economy. These data may encourage Trump to be more aggressive with China, taking advantage of the push of the new Nafta agreement. However, the final reading of the purchasing managers' indices for the month of September is a long way from the zone of highs at the beginning of this year. Was a positive session in Europe on Wednesday October 3, even missing the reference of the German market that was closed for festive. The points that influenced the session were: Italy's surrender respecting European rules and the strong macroeconomic data of the United States. 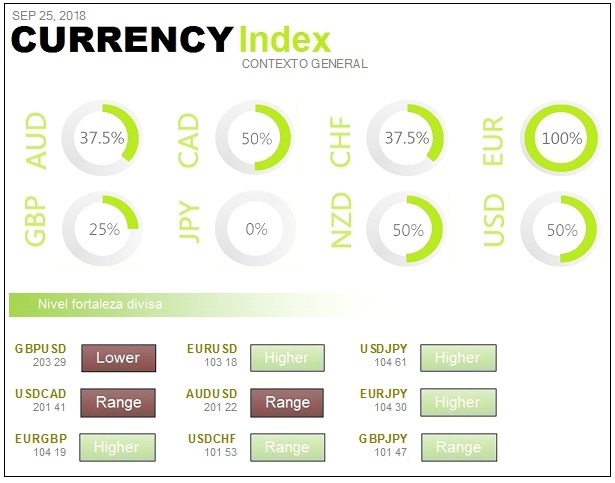 The rise seen in secondary market interest rates, together with comments from the European Commission and the European Central Bank, have sent a very important message to Italy. The Italian response has been that now they do intend to reduce the deficit, in the coming years, by reducing the country's indebtedness. The markets have liked this. 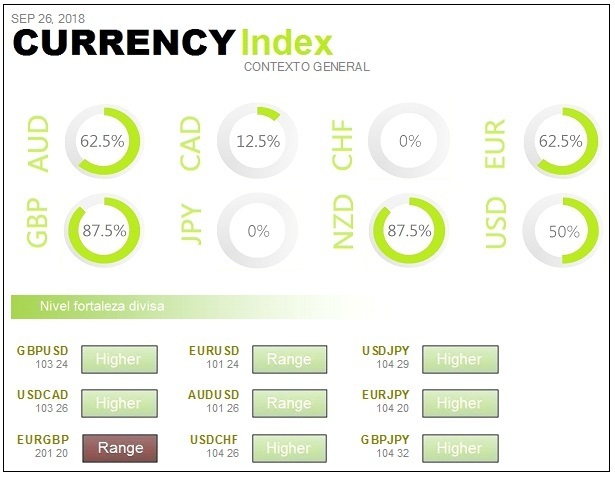 In addition, macroeconomic data in the United States has been very positive and that has caused the Dollar Index to rise. Retail sales fell by 0.2% in the eurozone in August compared to the previous month. Meanwhile, they remained stable across the European Union. The decline in the euro area is mainly due to declines in the volume of motor fuel sales, food, beverages and tobacco. Non-food products remained stable. As for the European Union, the figures owe their stability to a rise in non-food products, despite the decline in food, beverages and tobacco. There is also a plunge in car fuels. Paris emerges as the favourite trading centre in continental Europe, as some of the world's largest banks and asset managers prepare for the post-Brexit reality. A move of their operations from London to the French capital is taking place. BlackRock and JPMorgan are about to join Bank of America and Citigroup at the forefront. This summer, Bank of America accelerated its preparations by announcing a new office in Paris, with space for 1,000 employees. JPMorgan is increasingly opting for Paris, although it has yet to officially announce the size of the operations it will establish in the city. Although there are sales in Italian bonds, there is no contagion in the rest of the peripheral bonds. And this is not the norm. Until now the investor put all the periphery in the same bag, but this is not the case today. Only Italian bonds are being sold and the Portuguese or the Spaniards are not being touched. For the time being, these countries are following a rigorous path of budgetary discipline. The spread between Italian and German bonds has gone over 300 points. It is the highest level since 2013. However, the spread of Spanish and Portuguese bonds over German bonds has barely moved. The difference between Italian and Spanish bonds has gone to long-standing highs. The Italian government wants to send a clear message to Brussels on its commitment to reduce the public deficit. It expects it to rise to 2.4% of GDP next year and then fall to 2.2% in 2020 and 2% in 2021. Prime Minister Giusepp Conte said on Tuesday night that the government intends to accelerate the decline in the debt-to-GDP ratio consistently over a three-year period. The government coalition revealed last week that it intended to raise the deficit to 2.4% over the next three years. It was an announcement that generated tensions in the markets and was not welcomed by the European Commission. Asian markets were in negative territory on Friday, October 5, after a sharp drop on Wall Street. The Nikkei 225 partially recovered, but remained in negative territory. In South Korea, the Kospi was weak. The ASX 200 has slowed the overall upward trend, with the energy sector being the best. China's markets are closed for the Golden Week. Stocks of some Apple’ suppliers fell, due to a report stating that 'Chinese spy chips' may have been present in the hardware used by Amazon Web Services and Apple. U.S. equities fell sharply on Thursday, as the yield on ten-year Treasury notes reached its highest level since 2011. The U.S. job creation figure for September looks set to be quite positive as a continuation of the good macroeconomic data from the last two days in the United States. One of the biggest concerns is that the increase in public debt will lead to an increase in mortgage financing. If the ten-year notes remain around the highs, there will be an increase in the thirty-year variable rates of between 10 and 15 basis points. 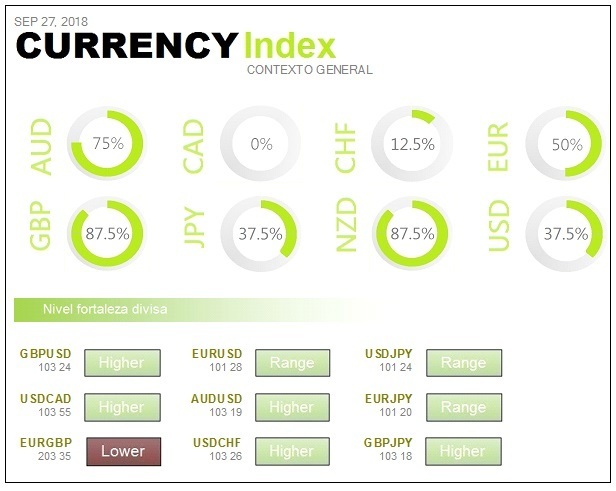 The dollar stood firm on Friday against its main pairs, including the yen and the euro, as investors assessed the impact of the fall in global public debt, which has raised US Treasury yields to seven-year highs. Oil prices rose on Friday as traders focused on U.S. sanctions against Iranian crude oil exports that will begin next month. Gold remained stable during Friday's Asian trading session, while investors remained cautious after U.S. Treasury yields reached multi-year highs. The Dow has its biggest drop of two months for fear that rates will rise. U.S. equities fell sharply on Thursday as interest rates reached new highs in several years. Ten-year Treasury yields reached their highest level on Thursday, October 4, since 2011. Moving more than ten basis points is too strong a move worth watching. The U.S. job creation figure for the month of September looks set to be quite positive as a continuation of the good data from the last two days in the United States. One of the biggest concerns is that the rising cost of public debt will lead to an increase in the cost of mortgage financing. If the ten-year notes remain around the highs, there will be an increase in the thirty-year variable rates of between 10 and 15 basis points. Was a bearish session in the European market on Thursday, October 4, with special downturns in U.S. technology along with small and medium equities. All that was seen in Thursday's session is no more than the consequence of the strong upward movement of yields in the US secondary debt market. Last month rates rose again and a further increase is expected in December. Added to this is the progressive reduction of the quantitative program by the European Central Bank and there is already talk of a couple of rate increases in 2019 for Europe. With regard to the evolution of interest rates in Japan, the Eurozone, the United States and the United Kingdom, it can be seen that the Americans are ahead, followed by the British. If the European Central Bank joins the trend, yields have no choice but to continue rising. This means that the Federal Reserve will have to react by raising interest rates to try not to overheat the economy. As interest rates rise, public debt will react and mortgage rates are linked to the evolution of public debt. If the public debt rises mortgage rates also rise. If the lowest salaries do not rise at the rate of inflation, the monthly instalments of variable-rate mortgages cannot be neutralized. This will leave less and less money available for consumption and the progress of the economy will be affected. The deficit proposed by the United States is being covered by an increase in indebtedness. This increases the supply of public debt and leads to higher interest rates in the secondary market. It is an environment that is becoming dangerous. When companies have to refinance debt, they will have to increase yields and that will mean that more money will have to be spent on debt repayment. In the United States, attempts have been made to compensate with tax cuts, but it is already clear that from next year this impact will begin to disappear. The question is whether the countries on the periphery of the eurozone, and others that have increased their indebtedness a great deal, will be able to absorb the increase in the price of money without endangering public accounts. On Friday, the U.S. job creation figure for the month of September will be released and the macro data has been very good. A really powerful figure is expected. In spite of the good American employment data, an increase in the cost of financing is expected shortly, together with a greater attractiveness of the public debt. With regard to the trade war, there is a positive impulse due to the arrival of agreements with the United States' neighbours. But the downside is that Trump's violent strategy has been successful. That is why an increase in aggressiveness is expected on all fronts: Europe, Japan and China.